Andargachew Tsege, known to his friends and family as Andy, is a British citizen who has been held in a secret prison in Ethiopia since June last year. The government of the East African country has used its stringent anti-terrorism laws, adapted from British and American ones, to charge Tsege with plotting a coup, and has sentence him to death. While he’s unlikely to actually face a rarely imposed death sentence, he is on death row and the charges against him are being brought. Now, UK Foreign Office (FCO) emails obtained by Tsege’s partner Yemi Hailemariam and shared exclusively with VICE, reveal that while an FCO analysis of Tsege’s appearances on Ethiopian television concludes that he has been “broken” by his recent experiences – which are thought to include torture – a phone call shortly afterward between Britain’s then minister for Africa, Mark Simmonds, and the Ethiopian minster of foreign affairs, Tedros Adhanom, concluded with Simmonds inviting Ethiopia’s intelligence chief to London to discuss increased co-operation on anti-terrorism initiatives between the two countries. Prior to this, Simmonds had merely raised “concerns about lack of consular access” and had mentioned increased parliamentary attention to the case. At a recent African Union summit in Ethiopia, British officials failed to bring up Tsege’s case with their Ethiopian counterparts even though, Yemi tells me, they’d promised her they would. Tsege fled Ethiopia in 1979 and was granted British citizenship, thereby renouncing his Ethiopian citizenship. He is the secretary general of Ginbot 7 – one of the many opposition groups banned by an Ethiopian government that, a source in its foreign ministry told me, sees democracy as being low on its list of priorities. In 2009, he was sentenced to death at a mass trial held in Ethiopia in his absence, for supposedly planning a coup. On the 23rd of June 2014, he flew to Eritrea to meet other members of Ginbot 7. He was abducted in transit at an airport in Yemen by Ethiopian security forces and brought to a facility in Ethiopia. Reprieve has been allowed no contact whatsoever with their client. 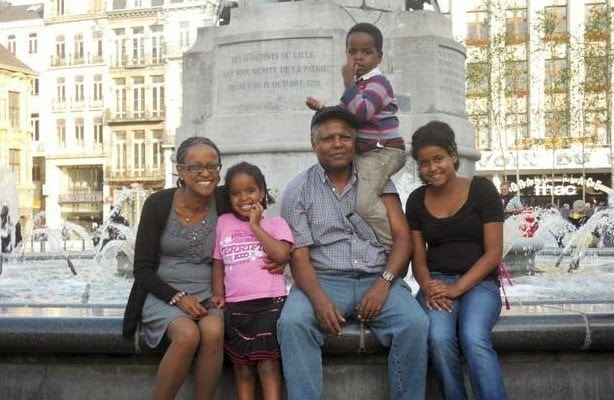 Tsege has spoken to Yemi and their three children, only once, and has met with the UK’s ambassador to Ethiopia twice in the eight months he’s been detained. On both occasions, he had a hood put over his head and was driven to a secret location away from the secret location of his prison. Reprieve and Tsege’s family accuse the British government of being afraid to upset Ethiopia, which is a key regional ally in the war on terror and a recipient of hundreds of millions of pounds of British aid every year. The FCO analyst’s email calls Tsege’s arrest an “important symbolic victory” for the Ethiopian government, the ruling party and its supporters. Alongside this it notes “a worrying tendency of the security agencies of the GoE [Government of Ethiopia] to act in disregard of international standards and consequences”. A number of journalists have been arrested in the last year and Ethiopia has also exercised its power to abduct opposition politicians living in neighbouring countries. The FCO notes Ethiopia’s increased projection of power in the region and the desire of neighbouring governments to co-operate with it. Just over a year ago, two senior members of the Ogaden National Liberation Front – a separatist militia from a region in the east of Ethiopia, which the government calls terrorists – were abducted by Ethiopian security services in Nairobi. And last September, the former president of one of Ethiopia’s Gambella region, was kidnapped in South Sudan, charged with terrorism and then allegedly beaten up in prison by a government mole. Reflecting on the recent arrests and the Ethiopian government’s desire to link Tsege’s illegal Ginbot 7 movement with legal opposition groups, the FCO analyst reports that it “bodes ill for the prospects of democratisation and a reasonably competitive election next year”. It also continues to bode ill for Tsege himself. Ethiopia has this month refused to allow a delegation from the British parliament to visit him. Rachel Nicholson, Amnesty International’s campaigner on the Horn of Africa, said that this decision reflected the, “severe restrictions on access to detention centres to monitor the treatment of detainees more generally in the country. Amnesty International continues to receive frequent reports of torture and ill treatment, usually in the early stages of detention”. When I spoke to Yemi this week, she told me that “nothing has changed” since her partner was abducted by Ethiopia, and that she believes the FCO is practicing a form of “malaise diplomacy” that sees ministers treat Tsege’s case as some sort of dutiful “obligation” they must briefly mention before getting on to more important matters. “They aren’t fighting Andy’s corner”, she says. “There’s no clarity in the message. Andy is being kept in solitary confinement, exposed to artificial light 24/7 and prevented from having any private access to lawyers or the British consulate… The Ethiopians have classified him as a terrorist, which is what they classify anyone who disagrees with them. But regardless of what they think, there are legal ways of going about doing what they are doing”. The government, she believes, would be doing a lot more to help Tsege if he was a white, British-born citizen. Yemi says that after he was abducted, it took the British government two weeks to determine whether her partner was a British citizen or not. “They don’t think we’re English”, she told me. Responding to the record of Mark Simmonds’ phone call and its analyst’s email, an FCO spokesperson defended what they had been doing for Andy. 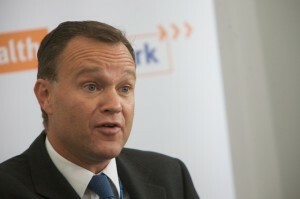 The “documents quoted cover only a small amount of the considerable effort the UK has put into this case”, he said, adding that, “the foreign secretary raised Mr Tsege’s case with the Ethiopian Foreign Minister shortly after his detention in June and again in August, September, November and December”. It seems that, without any force or threat behind them, these efforts are easily ignored. With the British unwilling to rock the boat, the dialogue between the two countries remains focused on aid and intelligence co-operation. Meanwhile, Andy Tsege’s lawyers and family wonder if they will ever see him again. On the phone, Yemi sounds exhausted. “What is becoming harder is for me to remain hopeful”, she says.